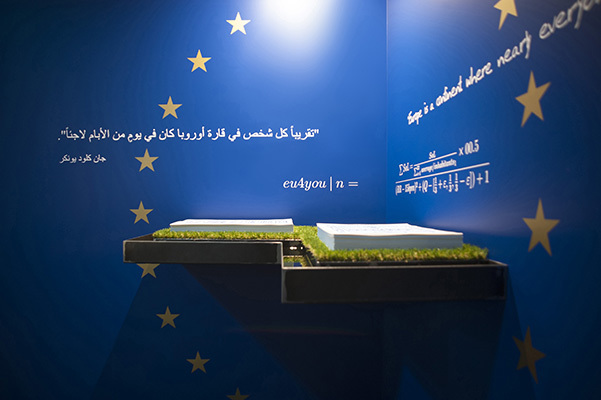 Starting from Junker’s generous advocacy of solidarity, eu4you develops an algorithm bound up in complex calculations of parameters that performs, instructions like a mechanical judge, calculating the fate of tens of thousands refugees. 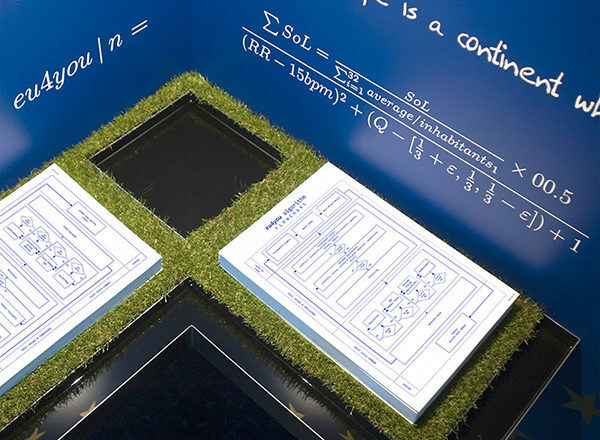 Based on luck, chance, fortune and a set of personal, social and economic factors, the algorithm plots a computational DNA formula that outlines the rate of a person to pursue and achieve his European dream; probing who gets to earn money, to buy food and who doesn’t, who gets their chance to be on the right side and earn their place in the sun and who should not. 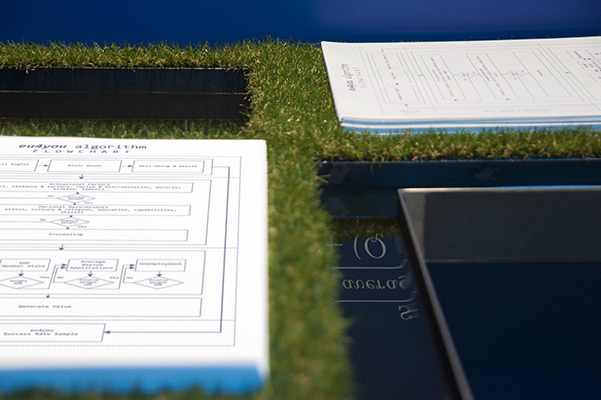 Eu4you is a work of speculative design which goal is to stimulate dialogue and public awareness with regards to the migrant crisis offering visitors a disruptive speculative fiction questioning the management of the EU migration, much more concerned to provide accurate and up-to-date statistics for decision-making processes. 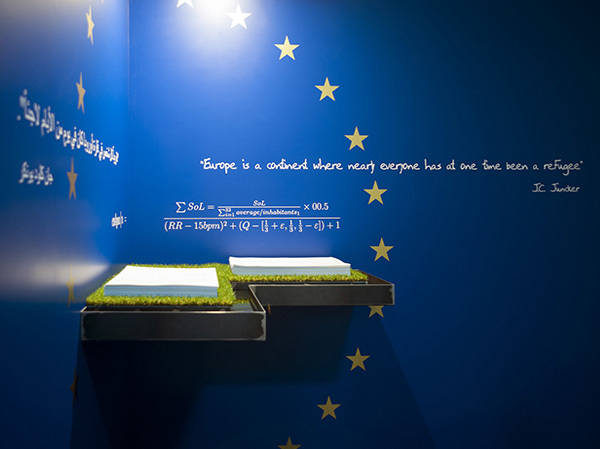 The first iteration of eu4you presents an installation designed to perform an algorithm that speculates on the fate of visitors for a Blue Golden Destiny on the EU soil. Once a visitor triggers the algorithm, a voice welcomes the visitor and the installation emits an aroma. 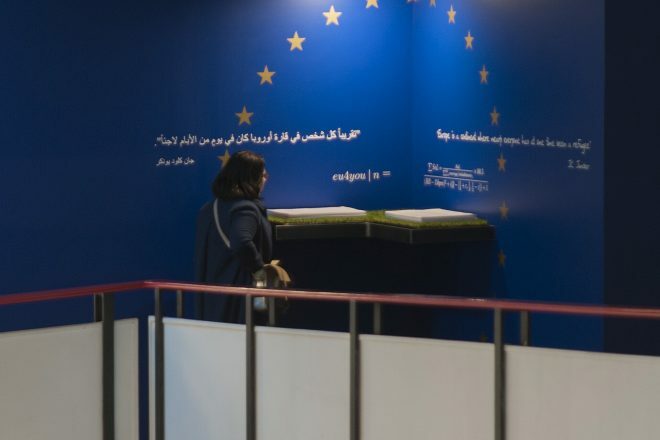 It’s the EU smell, which grants visitors equal rights to integrate the EU and realize their dreams. Eu4you is intended for those who want to know their chances to be part of the EU. 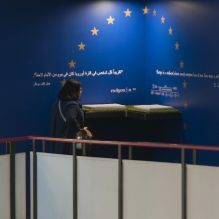 Doing so, the artwork confronts the public or visitor with the EU’s social reality, questioning the ambiguity of the EU, more and more spoiled by dilemmas raised by an ultra-liberal Europe, plagued by universal values as autonomy and solidarity, well-being and prosperity, peace and freedom.